The sun crept over the horizon a little while ago, but it’s still in the sleepy waking up stage of the daylight and golden light floods across the meadow. The dew in the long grass dances and twirls, while the daisies sleep on, still furled up with their arms above their heads, and the birds sing out. It’s 6.15 and it’s time for a walk. It started three weeks ago, or perhaps a couple of days before. I was listening to a podcast about setting yourself a morning routine to kickstart your day and get up and going, and it really hit home. I’ve always been a morning person, but I found I’d been drifting into staying up later and later (usually to make sure that I’d had some time of my own after working all evening), and then sleeping through several alarms in the morning and ending up in a tearing hurry, getting into work later than I wanted (I usually get in at about 8 to get ahead on the day) and then that would mean that there was more work to bring home and the whole thing was a vicious cycle and it was time to stop. Or rather, start. So one Sunday night I simply said to myself that the next morning I was going to get up and go for a walk first thing. Just round the village, just one walk each working day of that week, and if I hated it or it made me stressed or late I’d stop. It was going to be a mental boost, a bit of fresh air and sunshine that’s sadly lacking when your job involves sitting behind a desk all day, and just the tiniest bit of exercise, which is better than my default setting of none. In my head it was just going to be me, sneaking out of the house while the children were still asleep, walking up to the meadow, once around and back home, but on that first morning, and the one after, Pip was awake before me and adamant that there way no way he was going to be left behind, so we got him dressed and slung him up onto my back. By the Wednesday Kitty had got in on the act, and by Saturday I had all three with me. It’s turned out to be one of my most favourite parts of each day. Even when it’s raining. When it’s just Pip on my back he snuggles into me and we have silly little conversations as we walk around, about hockey, or playgroup, or whatever he’s going to do that day. If the girls are with us then we tend to go a little slower and linger a little longer running up and down the BMX track at the far end of the field. They don’t always come, but I’ll take whoever is up and dressed (and oh do they get dressed quickly if they want to come too! ), and even if I do walk further and faster when it’s just me, I miss the company, and the conversation, and the being asked to pretend to score a goal through the basketball hoop. When they’re with me it’s my chance to talk to them and to really find out what they’re thinking about and I hadn’t realised how much I’d missed that connection with them. When you’re the working parent, and you leave on the 7.21 train and don’t walk through the door again until 6.15 at the earliest the uncomfortable truth is that you just don’t get to spend that much time with your children during the week, and the time that you do have in the evening is ruled by the bath and bedtime of tired little people who are not at their best, and a mama who frequently isn’t at her best either. First thing in the morning, once they’ve blinked the sleep out of their eyes, I feel I’m getting to see the best versions of themselves, which usually seem reserved for school and Daddy, and pushing back against a work life balance that had become horribly out of kilter in the last nine months. I’ll admit it’s easy to do on the light sunny mornings and I’m not sure quite what will happen by the time we get to the winter, but for now, it’s the time for our morning walks, and a habit that I can’t imagine is going to prove hard to keep to. This time last year I was absolutely certain that this year I would have a stab at doing Vlogmas. I love Christmas and Advent and every tiny little thing that makes up our traditions, I want to have a record of the years when the children were really small, and the fact that you’d be making a video every single day means there just wouldn’t be time to panic about the editing or the music or all of that faff. Plus, it’s impossible to make a video every day for 24 days and not improve. So that was it, this year I was going to do it, camera at the ready. Except, I think we all know how that plan went. It’s part the work situation, which isn’t going to drastically improve until March, and part that I thought to myself, I do the same thing, all day every day for every working day in December up to and including the 20th, who on earth is going to watch that? You can tell from the comments about the temperature and the fact it’s not raining that this was the earlier part of the week and not Friday, but with a few variations, this is what my working day looks like for December, with more Christmas parties and fewer impending colds (I hope!). It is spectacularly silly and was great fun to make, and has only made me want to make more videos, possibly when I finish work for the year and pour every ounce of repressed creativity into making this the most Christmassy Christmas ever ever, although a certain someone’s pre-birthday video should be making an appearance tomorrow. I’m still incredibly beginner at videos too so if you have any tips, tricks, suggestions, recommendations for a good video camera rather than just using my iPhone, please tell all in the comments and I will be eternally grateful. 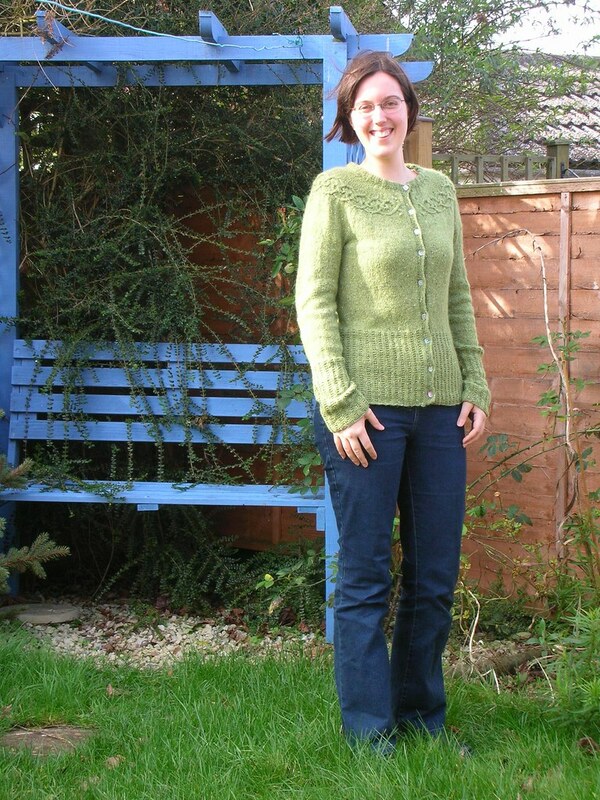 Before I had children I was considerably smaller about the circumference (this is from 2008, I was 27 – ah youth!). After Kitty arrived and my previously sedentary days were filled with long walks with the pram, a fair amount of housework, and lots of rolling on the floor, the baby weight disappeared, if not without a little effort, at least well in time for her first birthday. When Elma arrived I think I expected the same thing to happen again; I’d just pop back into shape and then need to loose a few pounds. Except it didn’t. I kept expecting my tummy to start heading back in again and yet everything stayed pretty much where it was, despite expending even more effort in the manner of exercise and eating healthily. So when Pip arrived, to be honest, I didn’t bother even thinking about getting back into shape; I knew it wouldn’t happen easily and I wasn’t going to sacrifice the time I did have with my teeny tiny baby and my big girls for anything, not the mental space needed to be beating myself up over what I was eating, or the physical distance to do some serious exercise. And so I went back to work a year and a bit ago a little bit larger than when I’d gone back after Elma, but not too much. The problem is that in the last year and a bit I’ve got larger still; it’s the combination of missing the children desperately, so bribing myself to stay at my desk with the promise of a really nice lunch, and then dipping into the office goodie shelf chocolate stash to keep me awake through the afternoons. It’s a wonderful and irresistable temptation, especially in times like now when I’m in a working every hour I have and not sleeping anywhere near enough kind of phase where I become almost entirely fuelled by sugar. And I’d got to the heaviest I have ever been while not pregnant, which was never part of the plan. It’s not great. And right now I am not as healthy as I would like to be, or as I need to be to be a good role model to my children. In the past I’ve had two stints at Weightwatchers, I’ve tried shovelling exercise into my day until I was too tired to eat, and I’ve tried just not eating very much all with varying degrees of success; none of them long term. The problem is that I simply don’t want to go through food purgatory, with some far off goal of “when I can go back to normal”. If this is going to work, then I need to find a new normal, one that doesn’t feel like I’m missing out, depriving myself, makes me constantly fixated on food, or hungry. The hungry is the worst for me, every time I’d tried to reduce what I eat I’ve just felt starvaciously hungry the whole time, and that is just not how I plan to live the rest of my life. And when all those success stories came up in the leaflets that claims they’d lost the weight of a baby elephant and never felt even the tiniest bit hungry, I’d be deeply suspicious. I need change, and I need to try something different. And so when I saw a post on Facebook looking for bloggers to try out Slimpod, I thought “why not?” and filled in the form. The idea behind Slimpod is that to make a wholescale long term lifestyle choice that leaves you happy and content and eating in a healthy and sensible way you need to reprogram the bits of your brain that are leading you astray; in my case the comfort eating and a sweet tooth. There’s no counting of calories or point or syns or carbs or anything else, or weighing yourself, or any of the things that get you fixated on food or failure, but each day you listen to a 10 minute podcast and write down three successes for the day; changes that you’ve noticed, or decisions that you’ve taken that are steps towards the lifestyle that you want. You set yourself goals; a long term visual one, one for the first six weeks, and the ones you need to get yourself through the day, and then you’re off. The idea is the by focusing on what you want, not what you can’t have, your brain starts to help you work towards that goal, and the podcasts help your brain along. So does it work? Well yes, I think it might be, and in ways that have surprised me. While the podcast is speaking to your subconscious, you could only proove that it was working entirely subconsciously by playing the podcast to people who were asleep and watching to see whether they lost weight without intending to, but I suspect there may be just a few ethical issues in that one! My consicious brain is of course aware that I’m trying to make changes, and I can only hope that the two working together, are going to get the end result. I’m two weeks in so far, and I’ve listed to the podcast every night bar two (when I fell asleep before I could even turn it on) and on those days I listened to it first thing in the morning. My long term goal is a visual mashup of my wedding pictures and the Duchess of Cambridge’s style (she does have some gorgeous clothes that I would totally pinch for work! ); the six weeks goal is a combination of fitting back into a dress that I bought when I went back to work after Pip, and the short term goals have been avoiding the work goodie shelf, and not grabbing a snack on the way to the train home. I’ve done well on the goodie shelf (bar one nightmare of a day when biscuits seemed the only answer – and I bought the biscuits), full marks on the train snacks, and the dress that I couldn’t do up now does up; it’s not wearable yet, but it’s progress. Most importantly, I haven’t starved myself. If I’ve been hungry I’ve had something to eat, but more importantly, if I haven’t been hungry, I haven’t. I’ve left food on my plate for the first time possibly ever (at least when it comes to food I like), I’ve eaten smaller portions of chocolate and ice cream but have still had them, I’ve grabbed fruit for a snack, and I’ve had soup and a roll for lunch and not been climbing the walls for something more to eat at 3pm. Half these ‘successes’ I’d seen mentioned in other people’s reviews and written them off as something that would never actually happen to me, and yet here I am. I’ve still got a long way to go, and this is only the start, but so far, so good. Thanks to Slimpod who provided me with a Gold Membership to try out. I’m not being paid and they’ve not told me what to write. Well hello again! It seems I’ve taken a reluctant and unintentional blog break, and with no better reason for it than real life being all consuming, or to be more precise, real work. I know I mentioned in previous posts that work had gone a little bit bonkers and that’s probably the understatement of the year. It was bonkers at the end of September and for the past two months a perfect storm has been building and building; individually each knock would be manageable, taken together it’s pushed my team from ‘take a deep breath and just keep swimming’ to ‘I can’t remember the last time that my evening wasn’t flat out working from as soon as the children fall asleep to when I can’t keep my eyes open any longer’. It’s not been great, and something had to give. Well everything had to give; time with the family, cooking, doing my share around the house, and all the things that make me me, including writing and photography and just joining in and feeling part of the communities online. In the last month I’ve done a teeny tiny bit of knitting, and that’s about it; very little blogging or Instagram or anything and I’ve really missed it. It’s going to get better (it has to get better) and hopefully soon, and then I can get back to being slightly more well rounded than I am at the moment. I managed to turn my laptop off at the end of the working day, and I haven’t opened it more than once since (it’s baby steps!). And on Thursday I had the loveliest treat/enforced happiness. So we all looked out of our windows, and as faces filled the sixth floor windows, three tiny people and their Daddy started waving madly up at us. In the spirit of ‘if Mohammed won’t put down her laptop and come to the mountain’, the mountain had come to take me out to the German Market for an evening and a bit of time together as a family that didn’t involve domesticity. There are many many reasons why I love that man, but his ability to rescue me from myself is right up there. And then we were off. The Birmingham Frankfurt Christmas Market is apparently the biggest German Market outside of Germany. It is vast, and this year is the 50th anniversary so it’s even more vast and staying for even longer. It fills the whole of New Street top to bottom, and up by the Floosie-no-longer-in-the-Jacuzzi-because-the-council-planted-up-the-fountain and around the corner. On a crisp winter night it is light and sparkle against the darkest of darkness and it is beautiful, and noisy, and warms your soul, even before you get to the mulled wine. The kids started dancing even before we turned the corner into Victoria Square, and then of course they saw the carousel. It’s becoming a bit of a tradition with us now – all carousels spotted on family outings must be taken for a spin, so while Elma sailed along regally, Pip and John, Kitty and I pulled her sleigh from the three horses in front; Ellie, Penny and We-forgot-to-look. I’d love to show you photos of the market but for once the camera staying in my bag; my brain was tired and I didn’t want to think about lighting, and persuading the children to stay still or anything more than just being with them – and eating an amazing pork schnitzel and a white chocolate marshmallow (yum). What I do have is a tiny snippet of video that John took, that captures a little of the fun of our evening. a very precious evening in the crazy of this autumn. If you’ve headed over here today looking for the Siblings link up then hurray, you’re in the right place; sort of. It is Siblings day, the link up is still going, but as you can see from the dearth of photos around here, I’m going to be a little bit late to the party. It’s a combination of rainy days, dark mornings and evenings and a day job that at present is taking its pound of flesh and some. I’m in that horrible phase where it feels as if all I ever do in the week is work, come home, put the children to bed, work some more, and fall asleep attached to my laptop, and yet it’s still not enough, and there’s little end in sight. On the plus side, they did fix the lift in our office this week so we’re claiming that as a win. Anyway, on Wednesday I will hopefully see my children in the daylight and fingers crossed it will be sunny.